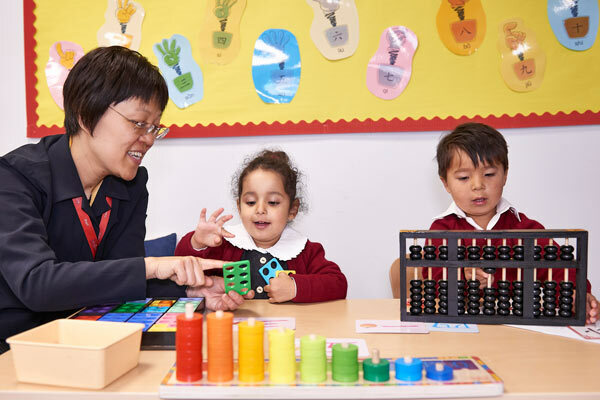 Parents in the United Kingdom are increasingly showing an interest in their children learning Chinese at school, ahead of other more common language options. According to a survey of 2,200 parents carried out by eco-friendly building company Modular Classrooms, 30 percent said they would like their children to learn to speak Chinese, “perhaps thanks to the growing economic power of the East”. The survey also found that 36 percent would like their youngsters to learn to speak Spanish, followed by French at 18 percent, then German with 10 percent, with six percent of parents opting for Russian. “Perhaps with London being a hub for international business, Londoners are able to see which direction the industry is headed and realize the importance of Chinese as a second language,” said a spokesperson for Modular Classrooms. With Mandarin Chinese being the language of the world’s second-biggest economy, many British companies increasingly feel that employees who speak the language will be particularly useful in the world of business. In April, research by the British Council showed that 28 percent of UK businesses believe speaking Mandarin Chinese will give students a significant advantage in their careers. Of those surveyed, 69 percent felt that Mandarin Chinese skills, particularly the ability to speak the language, would be important for British business and the economy in the future. This survey was commissioned by the Mandarin Excellence program, an initiative funded by the UK’s Department for Education and supported by the University College London Institute of Education, in partnership with the British Council, which aims to get at least 5,000 pupils on track to fluency in Mandarin Chinese by 2020.